Did you finally decide to sell your Jeep? 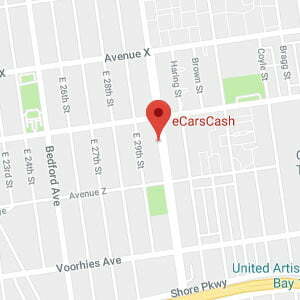 Since at eCarsCash, we buy any car, we can help. When it comes to buying used cars in the New York and Tri-State area, we are the absolute specialists and we want to buy your Jeep. We buy tons of cars each weak and have the needed expertise to make selling your Jeep an easy, fast, and stress-free experience. We guarantee to provide you with a fair and honest estimate of your Jeep’s value. If the price we offer is to your liking, we will come to you to pick up your car and pay you on the spot. To find out what we will pay for your Jeep, just provide us some details about your car on our website’s free car appraisal and we will give you an instant quote on your Jeeps price. We will buy your Jeep regardless if it runs or not. We don’t care about its condition, miles, or year. Get in touch with us today! For over 70 years Jeep has been producing reliable and solid vehicles with origins as a military vehicle during the Second World War. Jeep is one of the original brands of off-road car and is currently manufactured by Chrysler. Today, Jeep produces five different SUV models which include the Wrangler, the Jeep Grand Cherokee, the Patriot, the Liberty, and the Compass. Jeep has an unmatched reputation in the 4-wheel drive and SUV markets, known for their dependability.